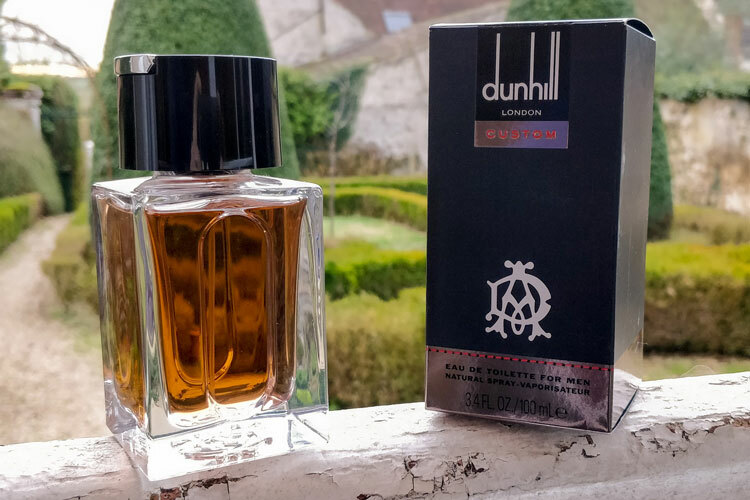 Continuing with the reviews of my extensive collection of Dunhill fragrances, this article will be covering the brand’s 51.3 N eau de toilette. A refreshing fragrance from 2009, I’m looking forward to putting it to the test with our Bespoke Unit Fragrance Formula. Download the Dunhill 53.1 N Fragrance Formula as a PDF. Released in 2009, Dunhill 53.1 N is another homage to the British heritage brand’s hometown. While the brand didn’t explicitly mention the origins of the name in its marketing campaign, the side of the packaging clearly shows a map of the UK with the coordinates 51.3°N, 0.0°W as London. Indeed, the name itself refers to London’s latitude of 51°3′ N. If you were to search for the full coordinates, you’d find that they directly point you to London’s Greenwich Peninsula on Google Maps. 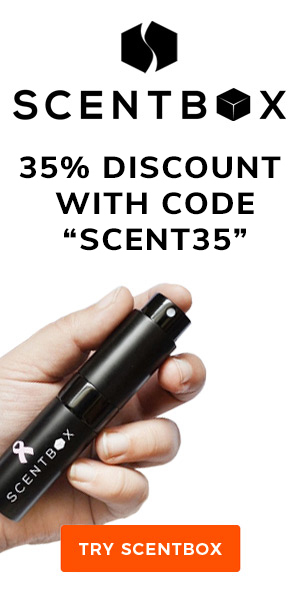 With its combination of fresh herbaceous notes, 53.1 N is an overall aromatic fragrance. Meanwhile, the peppery backdrop in heart renders it quite spicy. Consequently, it’s a decidedly Spicy Aromatic fragrance. 53.1 N opens with a simple yet effective head that combines a rich accord of sharp rhubarb and bitter grapefruit. The experience is refreshing and invigorates the senses. The zesty head soon transitions to an aromatic heart with a punch of pepper. An accord of white and black pepper offer an intense foundation to the interplay between lavender and cedar wood. Finally, the fragrance begins to settle from its tumultuous phases into a pleasantly sweet skin scent. While the cedar transitions into sandalwood, the pepper subsides to leave the sweet warmth of vanilla. Firstly, Dunhill’s 51.3 N is pretty classic in its dry-down. While there are a few transitional notes such as the cedar wood, it’s quite linear in its approach. However, this isn’t always a bad thing even if it was a little uninspired. Meanwhile, its performance is equally as average in the sense that we get a nice, tight sillage and projection. Meanwhile, the longevity will last you a couple of hours throughout the day that may need topping up just before lunch and during the mid-afternoon. Generally, most people tend to find Dunhill’s 51.3 N to be an inoffensive and pleasant fragrance to wear. Indeed, the British house is well-known for creating reliable scents that are restrained yet offer a touch of personality. Overall, it seemed to be best received by people above their thirties while younger people found it a touch too retro. It was most enjoyed by men rather than women who overall find it a little too sharp to their taste. Still, no-one had any complaints about it and it struck me as quite a safe fragrance for anyone’s entourage. Firstly, Dunhill 51.3 N’s seasonality seems very well-rounded and can be worn throughout the year. While it tends to peak during the milder months, it’s still perfectly fine for the Winter and Summer. Overall, this is a very versatile fragrance for year-round wear. Similarly, it’s an all-day fragrance that can be worn just as well during the day as the night. However, I would refrain from wearing it during it hot day as I’ve heard that it may go a little antiseptic. In terms of the the demographic best suited for wearing this fragrance, it was best received by people in their thirties and above. Therefore, I would recommend it for someone in that age range. Furthermore, it’s a perfectly adequate fragrance for the office. Nevertheless, you could consider wearing it casually too given that it’s quite affordable. Finally, its sharp and spicy properties render this to be a classical strong fragrance in terms of masculinity. Overall, I really rather liked Dunhill’s design for this bottle. The glass is a short and squat glass tumbler with a concave centre, which is great for a firm grip. Meanwhile, the cap is a knurled metal design that’s reminiscent of Dunhill Icon, my all-time favourite cologne. As for the atomiser, it has a wide stance and is easy to press. Similarly, it sprays a nice, thick mist that doesn’t become too concentrated. However, the packaging struck me as a little plain with its simple blue colour and white lens flare. Nevertheless, I did appreciate the list of notes on the back as well as the map of the UK with the coordinates of the name on the side. Finally, the fragrance’s value for money is very attractive. A 100 ml (3.4 Oz) bottle can be picked up for as little as $35 on Amazon. Therefore, it’s an excellent affordable choice for daily wear. Although a little classic and somewhat retro, Dunhill 51.3 N is a wonderfully affordable fragrance. Great for versatile use throughout the year, it’s also easy to wear for a wide range of occasions. If you’re looking for a pleasant and cheap alternative with a refreshing bouquet of notes, it might be one worth considering. "A thoroughly enjoyable and affordable fragrance. With its uniquely fresh grapefruit and rhubarb head, 51.3 N is an enjoyably invigorating experience."